Almonds and fennel seeds are the key ingredients to improve your eyesight significantly. This is the tremendous remedial combination with Mishri (crystallized sugar). You must try this remedial mixture to improve your eyesight. Large Fennel or Fennel Seeds. Sugar or (Kuja Mishri) is also known as "Crystallized Sugar lumps". How To Prepare: - Take equal amount of almond, large fennel (fennel seeds) and sugar (Kuja mishri) and grind them to make a fine powder. For example if you take 500 gram of almond then also take 500 grams of both fennel seeds and sugar or mishri. Thereafter Keep the mixture in a glass vessel or in plastic container on a safe place. Before going to bed, eat one tablespoon of this powder, followed by a glass of warm milk. Do this daily for at least 40 days. You also can make more remedy at same time and keep it in a glass vessel or plastic container on a safe place. Precautions: Give half quantity of medication to minors. To getting full benefit of the remedy, you shouldn’t drink water for two hours after taking the remedy. Spinach is rich in not only vitamins A, B, C, E, and minerals such as iron and zinc, but also in lutein and zeaxanthin, the chemical components that help keep the eyes healthy. Eating spinach on a daily basis can prevent disorders like macular degeneration and cataract. Spinach also helps to keep the corneas healthy. Many people despise the way spinach tastes and smells. But you can surely get past the smell by adding a zing to spinach. Add raw spinach to your fruit smoothies or use spinach and parsley to make a green smoothie and consume it daily. The sweetness and flavor of luscious fruits like strawberries and currants camouflage the taste of spinach really well while maintaining its nutrient content. You can make a spinach soup or cook it with pulses. Sandwiches and lasagnas containing fresh spinach taste heavenly. So why not add a twist to spinach and include it in your diet for a sharper vision? Note: – You also can make more remedy at same time and keep it in a glass vessel or plastic container on a safe place. Almonds are also great for improving vision because of their rich omega-3 fatty acid, vitamin E and antioxidant content. They also help enhance memory and concentration. Soak 5 to 10 almonds in water overnight. The next morning, peel the skin and grind the almonds. Consume this paste with a glass of warm milk. Do this daily for at least a few months. Oily fish like salmon, tuna, mackerel, and sardine are packed with the healthy omega-3 fatty acids. These work like an antioxidant, protecting your eyes from damage caused by the free radicals in the body. The omega-3 fatty acids prevent dryness of the eyes that is generally caused by the use of contact lenses. Eat fish at least twice a week for a noticeable improvement in your vision within a few months. Baking or grilling is the best method of cooking these fish, which keeps its nutrient content intact. For a change, you can even make a sandwich by stuffing the grilled fish between two slices of wholegrain bread and some lettuce, mayo, and seasoning. Who can say no to a properly made tuna fish sandwich? Carrots are a gorgeous and wholesome vegetable. They are so versatile and give a dish an amazing color. Apart from being scrumptious, carrots are loaded with beta-carotene, which later transforms into vitamin A, that enhances the general wellbeing of the eyes. You can find several recipes for carrot soup on the internet. Add it to the curries and pair it up with other veggies. You can derive maximum nourishment from raw carrots since the cooking process slightly deteriorates its nutritional profile. Munch on a carrot whenever you get an urge to snack or add it to your salads. But remember to drink lots of water, because carrots are high in fiber content. You can consume one cup of carrot and gooseberry juice on an empty stomach. Like carrots, gooseberries are rich sources of vitamin A and antioxidants. Broccoli is one of the super-foods with amazing health benefits. Including this food in your diet is another natural way to improve eyesight! Like spinach, broccoli too contains vitamin B, lutein, and zeaxanthin. These nutrients not only conserve vision, but also help improve it. Eating broccoli helps keep exhaustion, soreness, and blurred vision at bay. When the eyes are not subjected to a lot of stress, they perform better for longer. Broccoli promotes healthy eyesight by strengthening the eyes and reducing eye fatigue. Baked, grilled, sautéed or raw — broccoli tastes delicious. Toss in a floret or two in your salad, or puree it to make soup, you can incorporate the goodness of broccoli in your diet in numerous ways. Soak 15 raisins and two figs overnight in a bowl of water. Eat them on an empty stomach the next morning. The high amount of fiber and vitamins in these dry fruits help speed up the digestive processes and help the body get rid of toxins. This would thereby help to resolve eye-related problems. Wild asparagus, also known as shatavari, is another excellent home remedy to improve eyesight. According to Ayurveda, this medicinal herb is said to promote a long, healthy life of the eyes. Mix one teaspoon of wild asparagus with one-half teaspoon of honey. Consume this mixture twice daily with a cup of warm cow’s milk. Continue for a few months. Indian gooseberry, also known as amla, is another excellent remedy to improve eyesight. It is packed with several nutrients, especially vitamin C and other antioxidants. Vitamin C promotes healthy capillaries and helps maintain proper functioning of retinal cells. Mix two to four teaspoons of Indian gooseberry juice in one-half cup of water. Drink it twice daily, in the morning and evening. You can also take the juice with honey. Another option is to eat an Indian gooseberry preparation called amla murabba, which is a sweetened preserve. 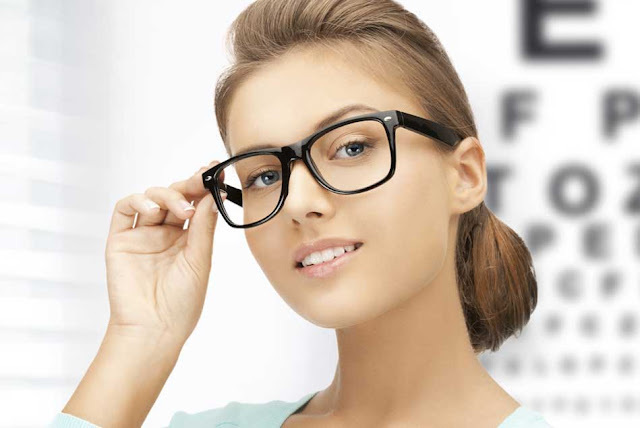 Healthy and nutrients diet is plays the most important role to have better eyesight. So it is important to get a healthy and balancing diet. You must include vitamin A supplements into your daily diet routine. Some useful herbs and fruits are carrot juice, fish oil, eggs, milk, nuts, dry fruits, nut beans, cabbage, salad, green vegetables, lemon and fruits. Walking is most important part for human being; it should be included as a daily routine. It is more effective for eyes when walking in the morning along with barefoot on green grass. If you decided to gain your eye power once again then stay tuned to walking barefoot. Circling the eyes is a great way to get rid of any stiffness and fatigue. It’s a really simple exercise, but the best way to improve eyesight. Sit down comfortably. You need to rotate your eyes as your look up, sideways and down. First, rotate your eyes clockwise five times. Then, do the same in an anti-clockwise manner. This routine will ease any stiffness in the muscles around the eyes, making them flexible and ultimately reducing the stress on the eyes that otherwise can worsen your vision over time. This is a very therapeutic workout for the eyes. This workout is just the same as the one mentioned above, but needs to be performed with closed eyes. Gently close your eyes as you sit back or lie down. Move your eyes in a circular motion in a clockwise and then anticlockwise direction, five times each. The purpose is to relieve the eye muscles, strengthen the blood vessels, and amplify the blood circulation and supply of oxygen. Certain measures should be followed to protect your eye vision and overall eye health. Avoid sitting close to the television screen or computer monitor. Avoid using these devices for long periods of time and at a continuous stretch. Look away from the monitor occasionally and rest your eyes every few minutes. Avoid exposing your eyes to the harsh sun rays, smoke, dust and strong winds. Wear sunglasses to avoid the strong glare of the sun. Wear swimming goggles to protect your eyes from chlorinated water in the swimming pool or debris in the ocean. Read and work in a well-lit area to avoid eye strain. Look away and rest your eyes every few minutes. Practice some basic eye exercises, like closing your eyelids and gently massaging your eyeballs. Soak a ball of cotton in cold rose water and place it on your eyelid for 5-10 minutes. Wash or sanitize your hands regularly. Regularly use eye drops to avoid dry eyes. When it comes to improving vision, a combination of right food, exercise, and taking proper care of the eyes can yield favorable results. The overall health of your eyes depends on certain nutrients, such as vitamin A and C, bioflavonoids, carotenoids, omega-3 fatty acids, minerals, and antioxidants. Incorporating these nutrients into your diet will help improve your eyesight. Apart from the food items mentioned above, sweet potato, kale, Swiss chard, turnips, and mustard leaves also contain vitamin A. Peppers are rich sources of vitamin C that is essential for maintaining the overall health of your eyes.